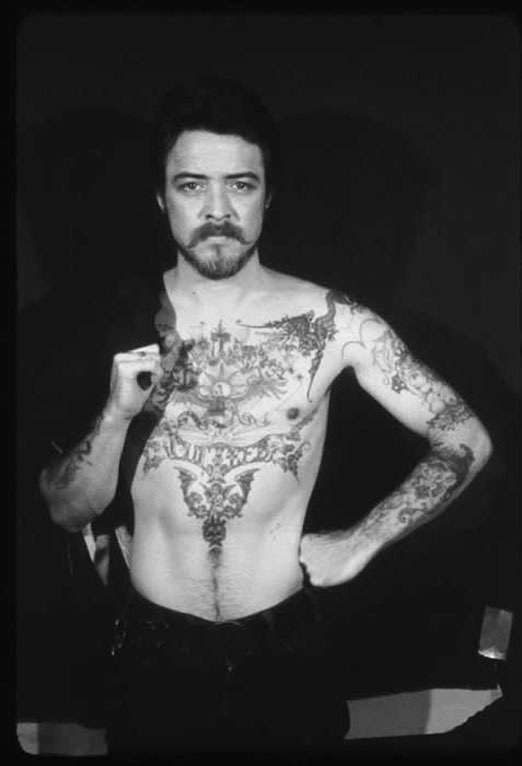 Bobby BeauSoleil is nearing his fifth decade in American prison; time spent creating a colossal body of art. He speaks of Luciferian ascension and how dying by the sword bestowed upon him the gift of existential knowledge. This is an excerpt from the full article – which is twice as long, significantly more in-depth, and published in Bardo Methodology #3. The issue features SVARTIDAUÐI, VOMITOR, DARKTHRONE, Philip Anselmo, ALTAR OF PERVERSION, DESIDERII MARGINIS, Paolo Girardi, WATAIN, Perra Karlsson, PORTAL, KING DUDE, LEVIATHAN, IMPETUOUS RITUAL, and Bobby BeauSoleil: Lucifer Rising. The first part of this conversation can be found here. – I was faced with the challenge of coming up with a sonic palette broad enough to support a lengthy rock symphony, one with enough richness of timbre to serve as accompaniment for an otherwise silent film. All I had available to me at the time was a basic drum kit, a Fender-Rhodes suitcase piano, a couple of cobbled-together horns, and a few cheap electric guitars. – Once the prison warden had given me his consent to record the soundtrack, it was relatively easy to get supplementary approval to make a few electronic music gadgets within the prison handicraft shop. I first pried up the door a crack and then resolutely pushed it wide open. – From tips on using a soldering iron and the hand-tools required for this type of work, to guidance on how to use resistors, capacitors, transistors and integrated circuits to get specific results. After I’d built a few audio gizmos from kits off the back pages of these magazines, I discovered I had a knack for this sort of work. Before long, I was able to intuit how these things work; exciting and channelling electrons and then pushing the resulting waveforms into the air by driving them through a transducer. – I built dozens of audio processors and instrument effects-devices, the mixing desk I used for the recordings, several custom electric guitars, a monstrous modular synthesiser with three keyboard manuals, reverb units, speaker systems, and some experimental inventions too quirky to easily describe. No more than a handful gave up their life in a puff of smoke, and even those were usually resurrected or reincarnated to live again in some new way. For about ten years, on and off, I was able to explore the world of musical electronics to my heart’s content. As the prison system in California grew increasingly overcrowded, the custodial policies and attitudes shifted – gradually becoming more restrictive and oriented mostly towards the warehousing of human beings. As handicraft and arts programs were shut down, my access to the parts and tools required for hardware electronics work dried up. At that point, one door shut and a window of opportunity opened. With a positive history backing him up, Bobby obtained support from prison administrators to work with manufacturers of musical instruments to develop sound-patch libraries for the new kind of digital synthesisers that had begun appearing on the market. – By that time, I’d been speaking with the product managers of several manufacturers, offering design recommendations for the new breed of instruments. Turned out they were more than willing to accept sound programs from me in exchange for the instruments I’d need to program the audio libraries. The product managers of these companies knew that if their new digital synthesisers were to meet with success among musicians, they would need a vast variety of sound programs to distribute in tandem with their machines. – The companies were prepared to take a chance on me in light of my years of experience with developing sounds on analogue gear, figuring this might give me a leg up on designing audio for digital machines. This turned out to be the case. After finishing a couple of sound libraries for one model of synthesiser, I sent the company their memory modules and donated the instruments to the prison music department – then moved on to develop sounds for another machine. – Either type of technology works as well as the other to generate waveforms for moving the diaphragm of a speaker to send excited air molecules into ear canals. And while there’s something pleasantly visceral about having a red-hot soldering iron in hand and getting down and dirty with physical circuitry, working with virtual circuits in the digital realm also has a certain appeal. – Virtual devices in the digital realm can be quickly altered, cloned, and combined to make infinitely complex circuits. Exploring the nature of sound with digital instruments gave me opportunities to deepen my understanding and take it to a place where the air is more rarefied and clean and subtle details can be more readily appreciated. 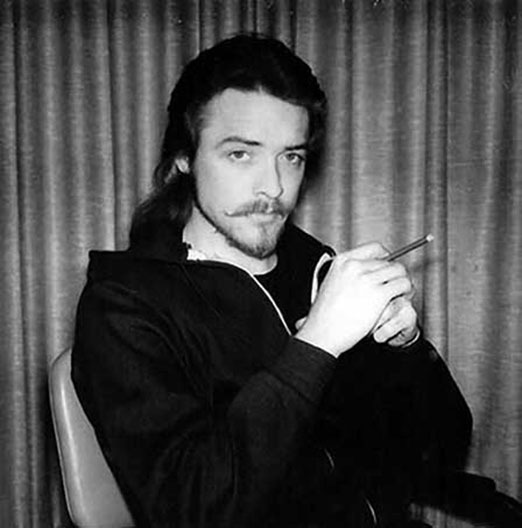 Bobby BeauSoleil performing with The Freedom Orchestra at Tracy Prison in 1978. – My pet project during this period was a guitar-like controller instrument – my ‘dream machine’, designed to control music synthesisers more expressively than what’s possible using a conventional keyboard. Eventually, I dubbed it the Syntar. The first prototype can be heard in the song “Metamorph” on the “Lucifer Rising Suite” anthology album. This early version of the instrument used two electromagnetically driven guitar strings as oscillators. – Sometimes referred to as ‘the voice of God’ – the emanation of Mahat. Or, to imply its eternal infinitude, ‘the unstruck sound’. One of my poems, The Word, speaks somewhat immodestly to its implications. It’s included on my new album “Voodoo Shivaya” as a spoken-word introduction to two instrumental music-meditations. I included them as a means of describing the core theme of my spiritual identity. Through my investigations in the sonic realm, what I’ve come to know is that this eternal vibration is the primal fundament upon which all phenomena rises and falls. He points out how one of the sutras in Tantra advises the seeker to focus single-mindedly on the tone of a vibrating string on an instrument, and to self-realise by following the sound back to its source. – Presumably, the musical instrument Lord Siva is referring to in recommending this technique is the tamboura, which was designed for this very purpose, but a plucked guitar string or a note played on a synthesiser can work as well. The practice is called nada yoga, one that I’ve been engaging in since long before I knew its name. – The sound will initially appear on the screen as random noise, until a single instant is sampled, frozen, and the view is zoomed in to reveal details. It will appear as a singular unbroken line, a waveform, one with incredibly complex harmonics extending downward from there to the wave’s fundamental frequency: Om. It’s like that. And not only in what we can hear. As a person with synaesthesia could attest to, the vibrations we can sense with our ears in the aural spectrum extend into those which we can see with our eyes, and beyond into ultraviolet. – High frequencies of ultraviolet vibration can cook our bodies from the inside out, while still higher frequencies can burn them to a cinder in an instant. The vibration extends upward to the ether known as space where it no longer resonates with material substance. In the other direction, we can sense the primal vibration as movement in the firmament and downward into seemingly inert rock. I suspect that the Big Bang, touted by popular scientific belief as the origin of countless galaxies and life itself, is but a single pulse in the waveform represented as Om. The waveform of existence is inexorably drawn through Kala, which is the Sanskrit name for the lord of time, the cursor of the eternal now. All possible histories arise and are sundered as harmonics of this divine voice. With humility I offer these thoughts as my take on Truth, or an attempt to answer the ageless perennial question: Who am I? – Honestly, your expressed interest in knowing more about my work with electronic technologies is credit enough. Recognition in this field has never been much of a factor in what motivates me, neither as inspiration or goal. I won’t deny occasionally having felt some frustration with being prevented by my situation from working more closely with other designers and instrument manufacturers. I truly would have loved to fully realise my concept of the Syntar design, to put the instrument in the hands of other musicians for an exchange of ideas. But at the end of the day, I feel only gratitude for getting a shot at working with technologies of this sort at any level while in prison, even under less than ideal circumstances. Like the dancing bear, it’s a miracle it could happen at all – yet nonetheless miraculous. – Actually, only about a little more than half of my completed soundtrack was used to support the film. At the time I began working on the project in earnest, Kenneth had projected a running time of forty-five minutes for the film – and that was the length of the soundtrack I delivered to him upon completion. – Much like his earlier work, Anger used sequential montages of often striking and sometimes compelling sights in the execution of his visual statement. Lucifer Rising the film is a sort of ritualistic invocation in which archetype and gesture are used as symbolic elements. The imagery was edited in a manner which involves these elements in a dance of light, giving it a musical quality that allows my compositions to readily compliment the film as counterpoint. – It doesn’t have much in the ways of a plot, as you’ve noted. This was unsatisfying to me as an artist. Once I’d composed and recorded the first twenty or so minutes of music and sound design to correspond with the work-print Kenneth provided, I decided to appropriate the title and expand on the concept in my own way. Borrowing from classical symphony, I began composing instrumental rock themes. I set out to tell a story of sorts, lending Lucifer Rising the narrative structure it hadn’t been given in the film visually. The language of music is vastly different from that of the spoken word though, so the story is not necessarily told in a linear fashion. – I imagined a journey by way of which the Fallen One could be reunited with the Beloved through self-discovery and realisation. The story is not based entirely on myself but having fallen from grace in my own life, so to speak, it wasn’t too much of a stretch to mine my experiences for emotive elements that might help tell the tale in music. As is the case with the literary character Lucifer, I hope to go home – both in a worldly as well as spiritual sense. It is for this essential reason I have at various points in my life found resonance with the Lucifer archetype: unwillingness to accept without question obedience to the authority of a tyrant patriarch, in combination with desires of being as a ‘bringer of light’; an embodiment of artistic spirit, which by its essential nature is a rebellious aspect. – Prison is hardly a world free of distractions. There’s an infernal noise that’s endemic in this sort of living arrangement where so many restless personalities are crowded together in a relatively small space, punctuated by the constant sounds of clashing steel gates, blaring public address speakers and the two-way radios used by the guards. It’s enough to drive a man insane! How then does one go about in finding tranquillity? – There are times and places in this environment where relative silence can be found, mostly late at night through the wee hours of the morning, or in the prison chapel area at certain times during the day. I tend to plan my days and nights around where I can get a little peace and quiet. The remaining time I shift my focus to let the racket and din recede somewhat in my awareness, much like a factory worker might do. At least while I’m engaged in a project I can be off on some flight of the imagination, and feel less bound by worldly circumstances. Some artists in prison find inspiration in the physical environment, and in documenting it. While I’ve done some art that speaks to the penal experience, I am more often inclined to explore transcendental themes. – The circumstances of my incarceration have greatly limited my exposure to music recorded by other artists. For the first few decades, this was entirely dependent on what FM radio stations I could pick up with a small transistor radio. During the 1990s, prisoners in California had access to recorded music on cassettes, limited to ten tapes at any given time. A decade later it became possible to obtain music on compact disc, subject to the same quantity restriction. The upshot is that while I’ve come across great recordings, since being incarcerated I have heard only a tiny fraction of what’s been produced by music artists. Strangely, perhaps, I’ve listened more to my own soundscape designs than music created by other artists specialised in the sonic realm. Not by choice, mind you! I’m interested in how much the quantative aspect of his considerable portfolio means to him. When Bobby’s lifespan comes to an end, it’s likely that he will have left his mark in far more artistic avenues than if things had gone very differently in 1969. Once removed from actual mortal existence, I’m curious if the enormous cultural bequest he leaves behind will have been worth being deprived of physical freedom his entire adult life.